I’ve been wearing this fragrance a lot over the last 2 months, and I’m blown away. This is the most wonderful tropical fragrance one could imagine. It’s all about tiaré flowers with drops of ylang-ylang flower water and a touch of vanilla. 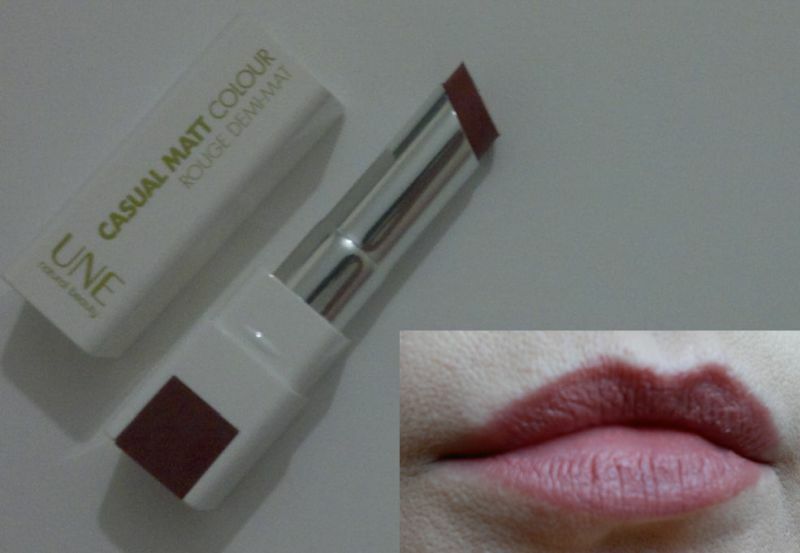 It’s very creamy, and it smells much more expensive than it is. I would describe the fragrance as seductive, heavy and heady. However, it would still be perfect for the hottest summer days because it smells like a tropical holiday. 11 STARS! 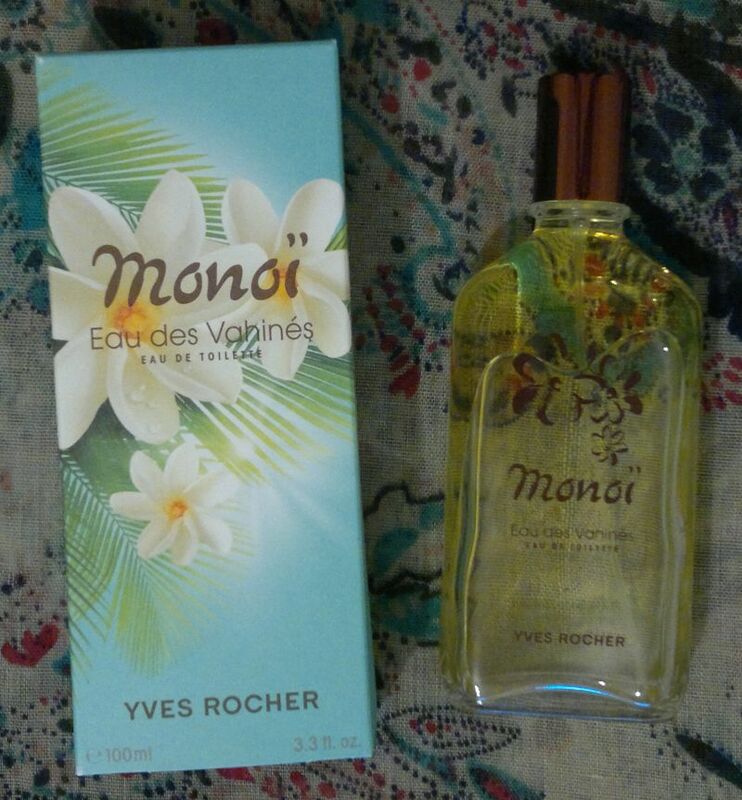 Yves Rocher Monoï Eau Des Vahinés Eau De Toilette is available as 100ml eau de toilette. Yves Rocher does matching body products as well. I bought 3 more bottles of this fragrance, and I bought a few bottles of the matching body mist as well. I just don’t want to be without this amazing fragrance! Hi there! Today’s post is about 2 facial cleansing products – Boots Botanics All Bright Gentle Cleansing Cream & Cleansing Toner for all skin types. These products promise to remove make-up and impurities, and to refresh skin. Both the cleansing cream and the toner contain hibiscus extract which is said to have a brightening effect. I’ve been using these products for a few weeks now, and here’s what I think. Boots Botanics All Bright Gentle Cleansing Cream is a nice change from Garnier’s unconvincing honey flower cleanser. Boots’ cleansing cream is very effective at dissolving and removing makeup. At the same time, it’s very gentle on the skin. I have very dry and moody skin, and I think this cleansing cream is simply wonderful! One more thing – now that I’m no longer using Garnier’s honey flower cleanser, I ‘ve realised that my skin doesn’t have to look red after I’ve cleansed my face! Thank you Boots for this amazing product! Boots Botanics All Bright Cleansing Toner is just as great. This toner picks up any product residue with ease, so it’s very effective. Not only does it feel refreshing and purifying, but it also does make my skin look bright, clean and clear. Another fantastic product from Boots! Based on my experience, I would recommend these products to anyone. I’ve noticed that, after just over 2 weeks, my skin tone looked more even, my skin is a lot clearer, and the yellowish patches I’ve had under my eyes and on my cheekbones are gone. It’s like they’ve never existed! I’m impressed! Boots Botanics All Bright Gentle Cleansing Cream & Cleansing Toner are available as 250ml each. They’re £5.49 each at Boots. 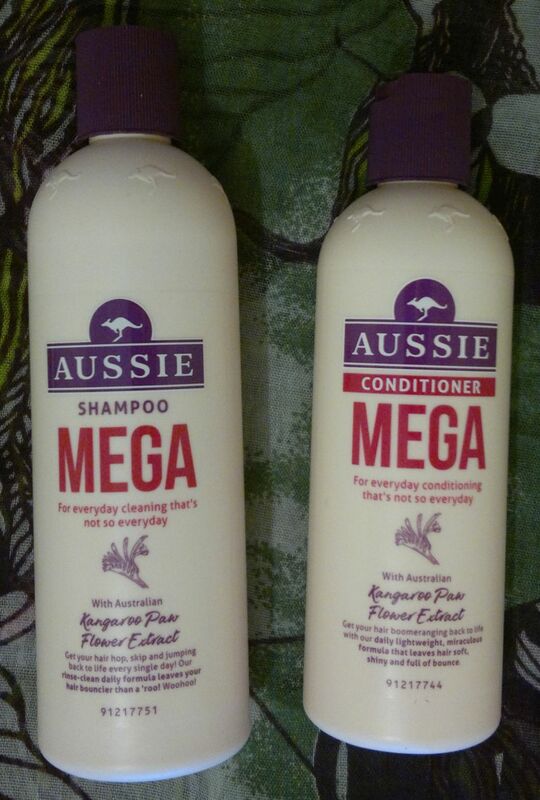 However, I paid £2.50 each (clearance before the products were repackaged). Hi there! Today I’m reviewing The Crème Shop‘s Turmeric Face Mask. This sheet mask promises to help correct skin discolouration, to soothe acne, eczema and dry skin, as well as to combat wrinkles and age spots. Using the mask is easy – just place it on your face, leave it on for 15-20 minutes, then massage the excess serum into your skin. I always leave sheet masks on until they’re dry. And then I pop a compressed sheet mask into the sachet with the excess serum – this way I can enjoy a second sheet mask the next day! This sheet mask is simply unbelievable. It really helps with discolourations. Using this mask on 2 consecutive days has not only brightened my skin tone, it also completely eradicated the remains of the dark patches that started to form on my face last summer. I’ve also noticed that my skin looks calmer and considerably less moody. In summary, these masks are some of the best I’ve ever used. If you come across them, you should pick them up. You won’t regret it! The Crème Shop‘s Turmeric Face Mask is available as a set of 5 sheet masks. I paid £4.99 (TK Maxx). This body butter is the most wonderful cocoa butter I’ve ever tried. The fragrance is hot cocoa and chocolate, and the formula is a dream. This body butter is insanely nourishing. It makes my skin feel super soft without making it feel sticky. This body butter is simply amazing! 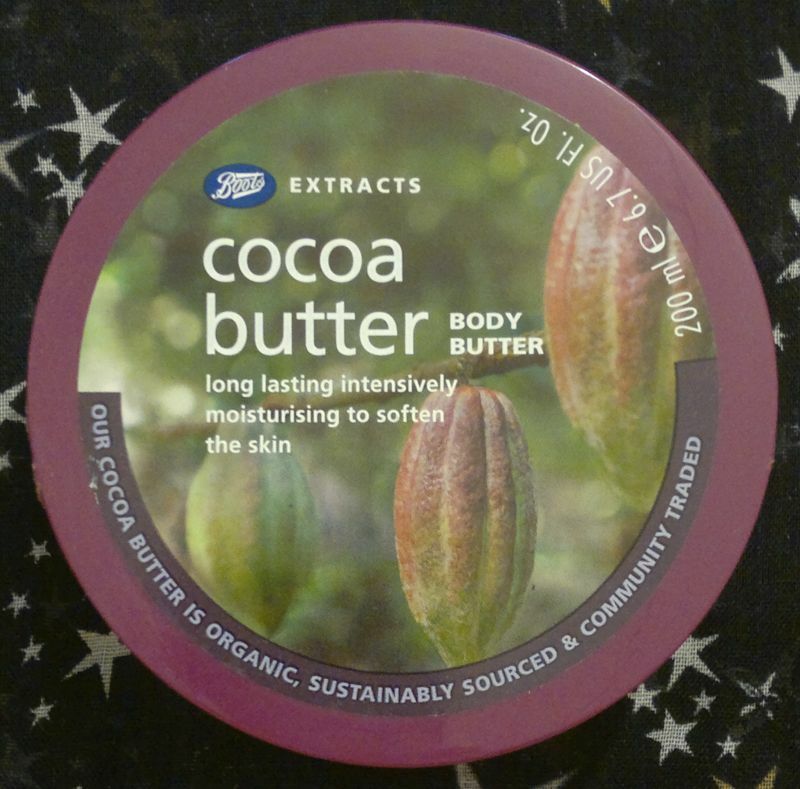 Boots Extracts Cocoa Butter Body Butter is available as 200ml. I purchased this body butter as part of a half price gift set.